Kids start understanding prejudice by the time they're 3 years old. They can distinguish between physical traits--hair color, height, weight, etc.--even earlier. Nearly one-fourth of students report being harassed or bullied on school property because of their race, ethnicity, gender, religion, sexual orientation, or disability. Don't let your children deal with this by themselves. 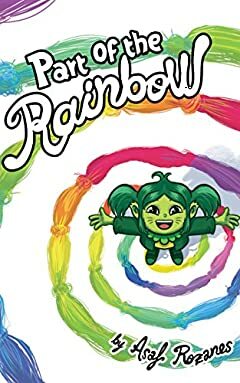 In this witty and colorful tale, Mia arrives at the first day of school and is shocked to her green whiskers by what she experiences there and how it would change her life forever! Get this book and provide your children with the tools for a normal life and the better world they deserve! *****(5*) "I enjoyed this short book. After I read it, I kept thinking that adults can even learn from it. I got a kick out of the clever and brightly colored illustrations that not only caught my eye but are good for small children as they will catch their attention and imagination. At the end, there are a few sketches from the book that can be downloaded and printed for coloring with crayons or pencils. I like that it encourages creativity and when done with a parent or a sibling, it has the potential to foster bonding." - Susan M.